We adhere to quality standards and as such are members of associations who require their members to operate to set standards. 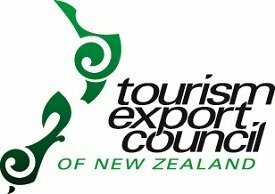 As such AgriTravel understand the interests, needs and cultures of overseas markets, and keeps abreast of New Zealand product development. As an inbound tour specialist with long standing connections in New Zealand’s primary sector, we work to achieve a programme that exceeds our clients expectations. Agricultural Tour Operators International (ATOI) is an international association of worldwide professional tour operators specialising in agriculture tourism. ATOI members are experts in their field and in a unique position to design and develop tour products that are tailor-made to your client’s specific interests across all agricultural sectors. 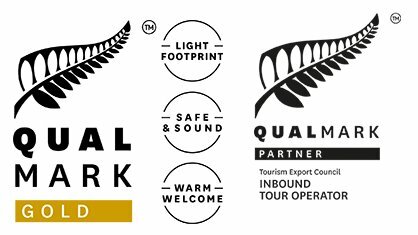 Qualmark is New Zealand Tourism’s official mark of quality. AgriTravel is independently assessed as professional and trustworthy carrying the quality marks which are part of our national tourism strategy to make it easy for visitors to find and enjoy world-class experiences in New Zealand. 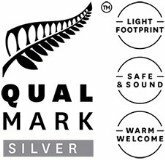 Our business practices have been endorsed as “environmentally friendly”, gaining an Enviro Silver Award by Qualmark. Our parent company Leisure Time Tours, that owns and operates its own fleet of motor coaches in New Zealand, has been awarded a sustainability Gold rating for their Qualmark transport accreditation. Tourism Export Council of New Zealand unites AgriTravel and other members for the purpose of marketing New Zealand as an internationally competitive tourist destination by promoting and arranging inbound travel of the highest standards through the encouragement and development of services, facilities, training and education. Department of Conservation – AgriTravel is proud to be an approved concessionaire with the Department of Conservation. The Department of Conservation (DOC) is responsible for administering and promoting the conservation of New Zealand’s National Parks. Holding a concession is a legal requirement to undertake a commercial activity within a National Park – such as a tour leader accompanying a group whilst walking in a National Park. Working with AgriTravel gives you peace of mind that travel arrangements meet legal DOC regulations. Tourism Industry Aotearoa is the largest representative body of tourism operators in New Zealand. It is a membership-based and private sector trade organisation with more than 2000 members – from small operators through to large companies – who collectively make up 85% of the country’s tourism turnover. 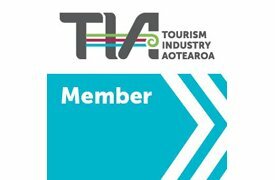 Conventions & Incentives New Zealand (CINZ) is the marketing name for the New Zealand Convention Association Inc. CINZ takes a lead role in increasing New Zealand convention and meeting activity from international and domestic sources. It also provides opportunities for professional development, accreditation and education for those engaged in the sector.